Looking for a quick and delicious dessert to whip up for a party? These Banana and Chocolate Puffs will do the trick. This recipe was first published in Flavours magazine. Cut each sheet of puff pastry into 4 equal strips. 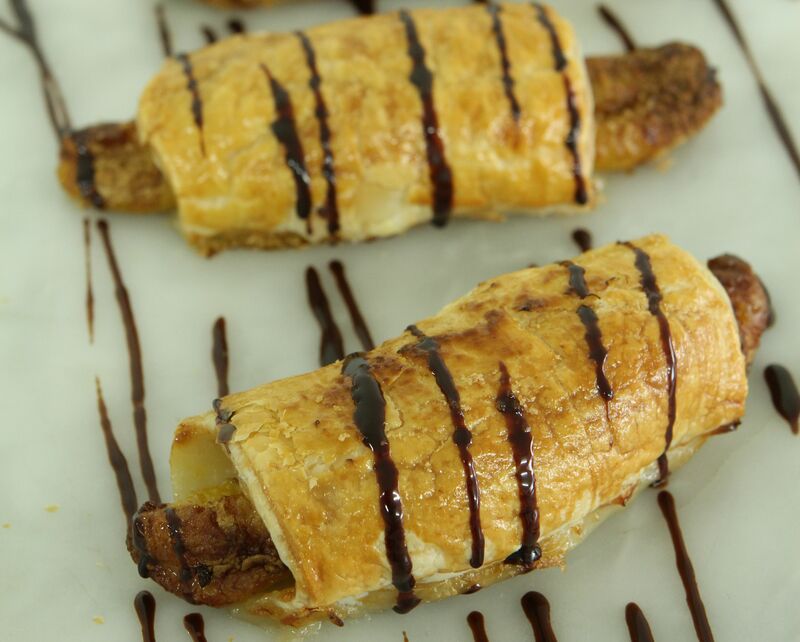 Place a banana in the centre of a pastry strip and roll the pastry loosely around it. Brush with egg wash and bake for 15 minutes. Sprinkle with caster sugar and bake for another 5 minutes or until golden brown. Remove from the oven and drizzle with melted chocolate. Serve warm, with vanilla ice cream.